One of the things to consider when looking for a hotel for your vacation is to look for a place that is near tourist spots. This way, you’d be able to save both money and time. 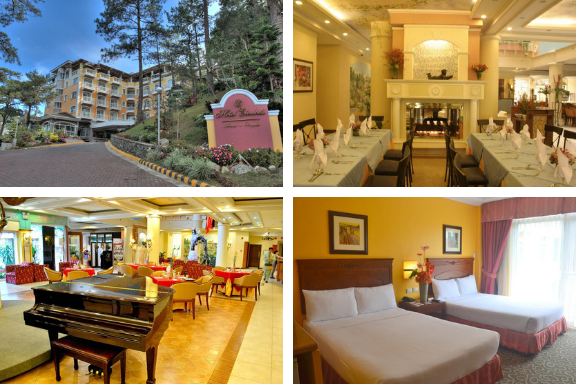 So if you are planning to visit the City of Pines anytime soon, here’s a list we’ve made about Baguio hotels near Mines View Park and other tourist spots like The Mansion, Wright Park and Botanical Garden. The hotels included in this list are within one to five minutes drive going to Mines View Park based on Google Maps. But if you’re up to walking while enjoying the crisp scent of pine trees that goes so well with the cold weather in Baguio, these places might take four to twenty five minutes walk going to the famous tourist destination. 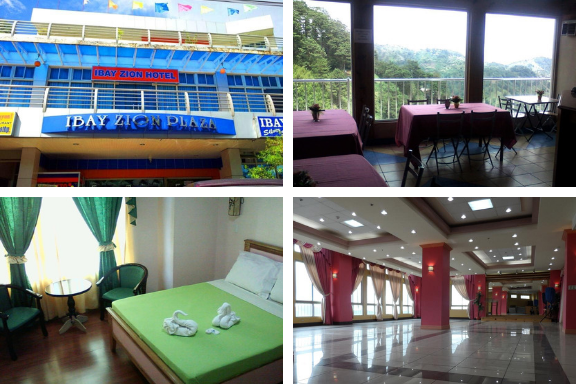 If you’ll be coming from Ibay Zion Hotel, it will be a five-minute drive or a three-minute walk to Mines View Park. This hotel allows guests to enjoy the glorious view of mountains. 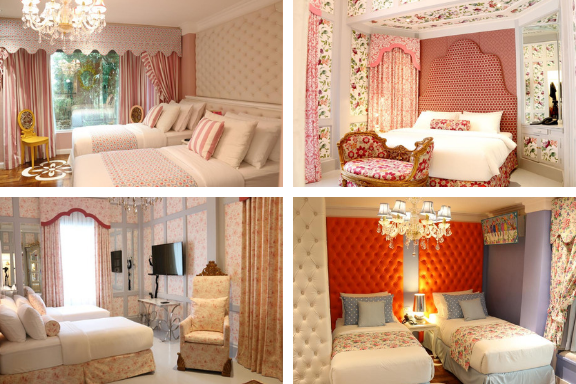 Also, they have rooms suited for small groups and the dormitory-type for those in bigger groups. Their facilities include the 24-hour front desk and business center. And in addition to this, they have a restaurant that offers local cuisine. This hotel is just one-minute drive away from Mines View Park. But if you’d like to walk, according to Google Maps, it will only take you five minutes to reach your destination. Mines View Park Hotel provide its guests with a continental or buffet breakfast. Also, two of the hotel’s highlighted features are its garden and fitness center. This small hotel is a three-minute drive away from Mines View Park. Although you can still reach the famous tourist spot by walking for about ten minutes. 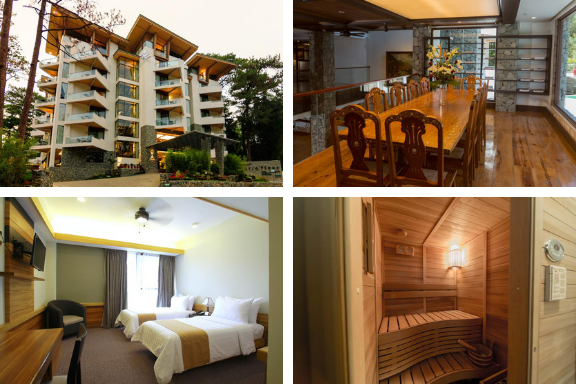 C Boutique Hotel has 17 rooms, a restaurant and a bar to serve its guests and an outdoor fire pit to keep guests warm if they’d like to enjoy Baguio’s night sky. Grand Sierra Pines is a two to three minute drive away from Mines View Park. However, if you’d like to have some form of exercise going there, you can reach the place by walking for about twelve minutes. This hotel offers two places for food options – Atrium for Filipino favorites and The Outlook for American and Asian dishes. Aside from its air-conditioned rooms, the hotel also features a spa, fitness center, a mini library and an art gallery for all its guests to try and enjoy. Those who choose to stay at Hotel Elizabeth will be able to reach Mines View Park in just four minutes by car. Although, to be able to truly enjoy the weather even more, some may opt to walk and this will take them up to eighteen minutes to reach the place. Some of their facilities include a fitness center, business center and an in-house spa for guests to indulge in. And also, for dining options, they have Flora Cafe which offers international dishes. Kamiseta Hotel is a six-minute drive to Mines View Park. But if you’re going to walk from the hotel, it will take you twenty seven minutes to arrive there. Guests at Kamiseta Hotel will be readily assisted by their 24-hour front desk. The hotel also offers a breakfast buffet for their guests. 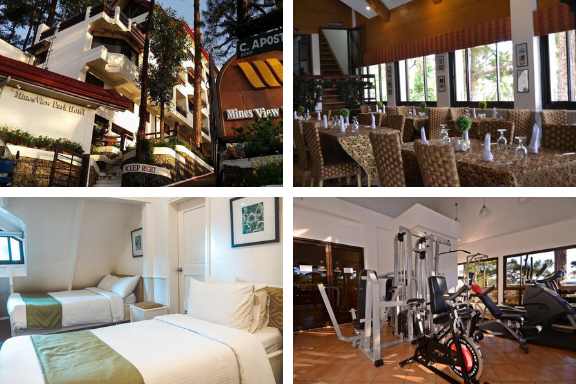 So the next time you want to have your vacation in the City of Pines, you might want to consider staying at one of these hotels so that you can visit many tourist spots, especially if you only have limited time.